According to the Ford Motor company, the new Focus RS will be presented in February. The novelty is planned to be a version with the high performance hatchback but it will not be an only one. Moreover, the Ford automaker also is working on another high performance hatchback, which comes on the auto market under the badge “Fiesta RS”. Meanwhile, Ford also has confirmed production of 12 new vehicles by 2020. There will be GT350R, Mustang Shelby GT350, Focus RS, F-150 Raptor and other GT super cars as well. Between these novelties, there will be a slot for the new Fiesta RS found in the lineup. 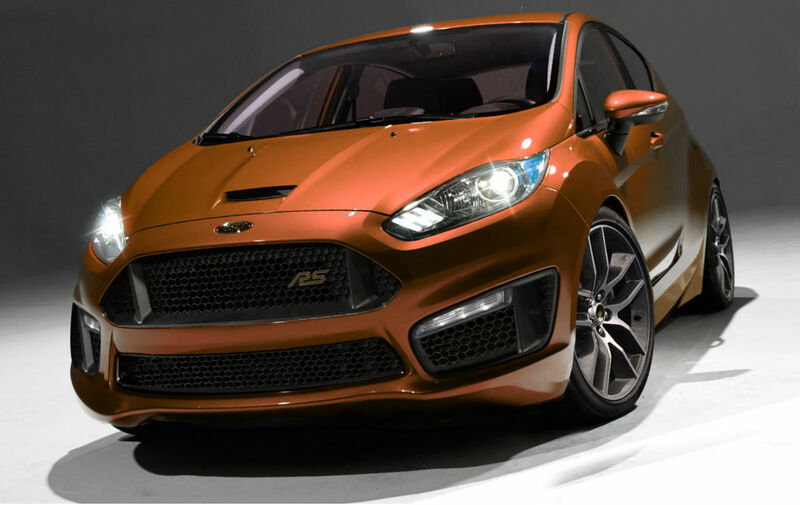 The auto manufacturer has confirmed working on the new Fiesta RS. The carmaker hopes to get success as it was with the Fiesta ST two years ago. We are sure, the Ford’s novelty will be able to meet the competition with the Volkswagen Polo R.
First, talking about the Fiesta RS was in 2008, and then there was a great debut of the Fiesta RS rally car in 2010. The Fiesta is expected to be with three doors, while the Focus gets five doors. Moreover, the new Fiesta will be equipped with the powertrain producing the output of 180 horsepower, updated suspension and braking system borrowed from the previous version.